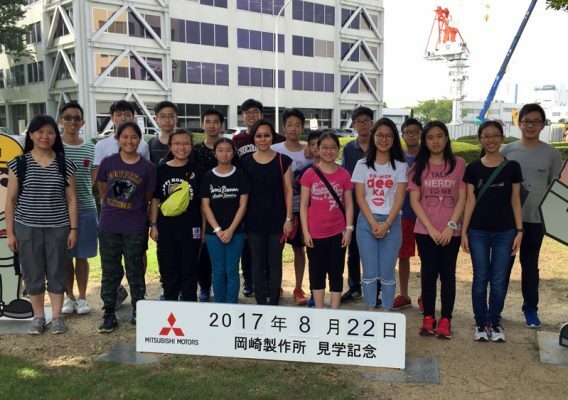 From 20 to 24 August 2017, four winning teams, comprising 19 students and teachers, were sponsored to a Japan exchange programme. They visited Osaka University, High Energy Accelerator Research Organization (KEK), Mitsubishi Motors Plant and Nagoya Science Museum, etc. Students were also able to exchange ideas with local students in Osaka University. Through these exchanges, the students were able to broaden their global vision and understand the most updated breakthrough in scientific research in Japan.